If you are moving to Japan, there are many things you need to learn. But the most important one is to respect their Japanese culture and tradition. Speaking about the culture of this beautiful country, there is one thing that you will enjoy most – Japanese cuisine. 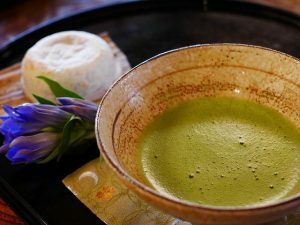 Now, if you think Japanese national foods and beverages are not a part of Japanese cultural heritage, you are totally wrong. Japanese cuisine (originally Washoku), is officially a part of UNESCO intangible cultural heritage of Japan since 2013. Now that you are aware of this, you need to be careful how and what you will eat after moving to Japan. 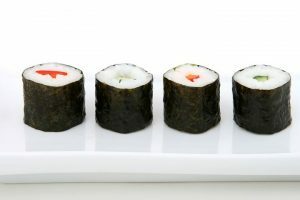 In order to help you prepare for this journey, here is everything you need to know about Japanese cuisine. As you can see, all these meals are very healthy and are perfect for your first meal. Japanese cuisine is oriented towards fresh, light, tasty and nutrient-rich ingredients. As Japan is an island country, the main source of food is the ocean. Therefore, all types of fish, seaweed, and seafood are always in the center of any Japanese meal. Not to mention that all these meals are very rich with protein and unsaturated fats which are the great source of energy and easily digested. Hence, you will not have that heavy sensation in your stomach and you will have lots of energy. One important information is that besides restaurants, you can have a breakfast in fast-food chains. Japan has one of the most strict safety and health regulations when it comes to food preparation. Therefore, you do not need to be afraid to take a meal in the local fast-food restaurant. Additionally, as you will get chopsticks, you can be sure that no one used that cutlery before. So, fast-food meals are tasty, safe, hygienic and come in convenient packages. Spices are very important part of Japanese cuisine. Besides soya sauce, which comes in many different variations, there are wasabi, ginger, zest, sesame, shichimi, and many more. These spices are giving may sensations, mainly sweet, salty and hot, but all of them are very unique and you will not have an opportunity to taste them in any other national cuisine. As you can see, Japanese cuisine is very unique. Hence, the main meal must be different as well. And it is. The main meal in Japan is dinner. It is time for family and any kind of celebrations. There is one more raw-fish meal you can find in Japanese cuisine – sashimi. Even though many are confusing it with sushi, sashimi is very different. It is a thinly sliced raw fish without any other extra ingredients. You can get a bowl o rice but as a side meal. Once you move to Japan, you need to respect their culture, as it would be rude not to. And you need to be aware that Japanese people are very proud of their culture and respect tradition from the very young age. Therefore, you need to prepare well for moving to Japan. It would be a very smart thing to make a thorough research of Japanse traditions in order to speed up your adaptation process. Moving to a new country is not an easy project, and there are many things you need to do in order to prepare well. One more thing you should know about this great country is that apartments are very small, as there are many people in very small space. In other words, there is very high population density. But the good news is that people there are very friendly, so you will feel their hospitality as soon as you arrive there. Kindness is part o Japanese tradition as well. So, while you are researching international movers Japan, spend some time reading about Japanese culture in general as well. Speaking about Japanese cuisine, you need to know that there are some rules when it comes to the table setting. It is not just sit down and eat. There are some rules, and Japanese people are very proud of them. For an example, bowl with rice always goes on the left side. You will always find your miso soup on the right side. 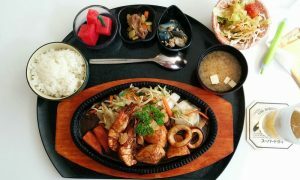 Between these two bowls, you will find three plates – with the simmered dish, boiled vegetables, and grilled dish, going from left to right. After you finish your meal, place your chopsticks together on the chopsticks rest, or horizontally in the upper part of your plate. The most important thing is to enjoy your food, hence do not stress about respecting each and every part of the Japanese dining rules. And one more tip, Itadakimasu on Japanese means Bon appetit.